History Lessons with the Hall of Presidents! Hello everyone, and welcome to #Day63 in our #DisneyWorldCountdown! This day we are taking a history lesson as we study the American Presidents in the Hall of Presidents! 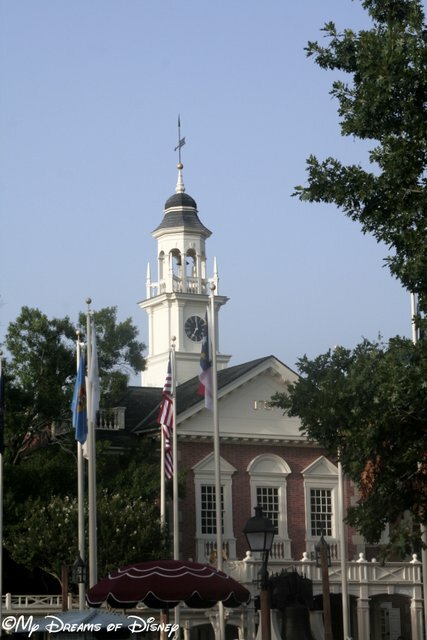 Located in Liberty Square, this attraction features audio-animatronic characters of each of the Presidents of the United States. This is a very special show, and features some great features that you won’t find anywhere else. For example, take a look at this special rug. 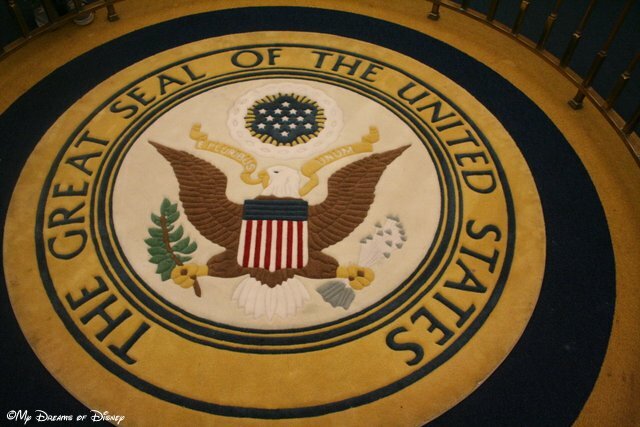 If I remember correctly, this rug is one of three that exist in official form in the United States. The rug has a fence around it to prevent people from walking on it, and was placed in the Hall of Presidents by a special order of Congress, if I remember my facts right. On top of all of that, the building is absolutely incredible in my opinion. This structure has the number 1787, which represents the year that the United States Constitution was signed. I really enjoy this show, it’s a great reminder of the toil and struggle that our country has gone through over the years. Our country is doomed to repeat it’s mistakes if we ever forget the lessons that we learned in previous days, and it’s shows like the Hall of Presidents that remind us of our past in a fun, educational way. 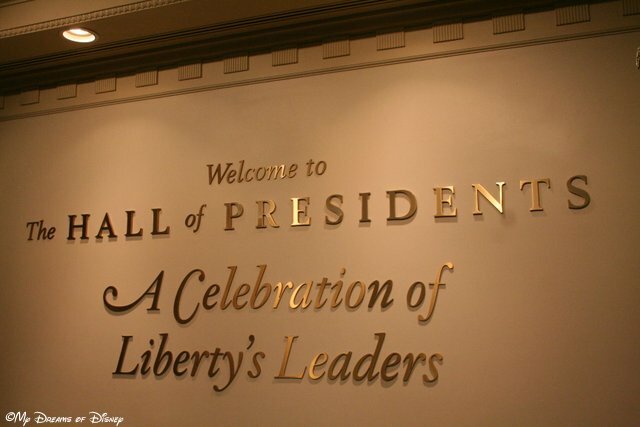 Does your family visit the Hall of Presidents? Please let me know in the comments, and thanks for stopping by! Prayers for the Week – Jesus’ Triumphant Entry! Today is Palm Sunday in the Christian Calendar; the day when Our Lord Jesus entered Jerusalem. Hello everyone, and welcome to our Prayers for the Week post, the weekly prayer post that receives your prayer requests and lists them here so others all across the world can pray over them and lift up you and your cares to the Lord. 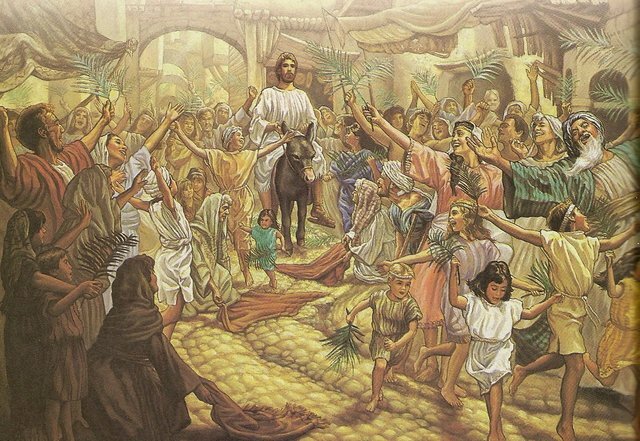 Today is, of course, Palm Sunday in the Christian Calendar, and it is the day of Jesus’ Triumphant Entry into Jerusalem on the back of a donkey, to the cheers of the people of Jerusalem. This day is the day when everyone acknowledged Him as their Lord oh so many years ago, and for us, today is the day we remember the love that those people had for Jesus, as well as the love that we have for Jesus. The sad part of the Easter story for me, anyway, is how quickly those people — us — turn away from Jesus when He doesn’t do what we want Him to do for us. Those people, less than a week later, were the same people that were shouting “Crucify Him!” For many of us, including me, I am sorry to say, far too often we leave Church on Sunday, go eat breakfast or lunch or brunch or whatever you wish to call it, and by the time we have changed out of our Church clothes we have already forgotten the message that should have been put on our heart. In Raleigh, today is also the day that the Rock and Roll Marathon is being held. Today. Palm Sunday. Thousands and thousands of runners, walkers, volunteers, and so on have decided that they have nothing better to do than go run in a race. Oh sure, I’m sure that the Rock and Roll Marathon is raising money for some worthy cause. I know that there are plenty of people that don’t go to Church anyway, regardless of the time of year. But what disgusts me a bit is that the City of Raleigh and the organizers of this event specifically selected Palm Sunday — and that, when the plans were first being finalized, they had no problem with interrupting people’s access to their church to worship their God. The Susan B. Komen Race for the Cure event is held on a Saturday every year — and I say that the Rock and Roll Marathon could have been run on a Saturday as well. It should have been run on Saturday. I think I know exactly what they worship — and it isn’t God. My friends, I am sorry if I sound harsh today; it is not my intention to be so. It just bothers me that so many people don’t put God first in their lives. More than that, it bothers me that I don’t put God first in my life more often. I think of Easter, and I praise God for being so willing to send His Son Jesus to die for me, for my sins — and it really bothers me that He should have to do that at all, that me and you and everyone else just wasn’t smart enough, didn’t care enough, didn’t love Him enough to do what He asked of us. Even now, despite knowing and believing and loving Jesus — despite all that, still I far to often put Him aside and focus on other things. Far too often I don’t include Him in my day to day decision making. Far too often I put my self to the front, and not make it the least. One thing I do do, though, is every day I thank God for loving me and for forgiving me when I sin. Enough about me, though. This is a prayer request post, isn’t it? It’s time to focus on our prayer requests, and as always, I thank you for praying for all of these people, for praising them to God, and I give thanks to God for each and every one of you for continuing this ministry of Love. O great St. Peregrine, you have been called “The Mighty,” “The Wonder-Worker,” because of the numerous miracles which you have obtained from God for those who have had recourse to you. For so many years you bore in your own flesh this cancerous disease that destroys the very fibre of our being, and who had recourse to the source of all grace when the power of man could do no more. You were favoured with the vision of Jesus coming down from His Cross to heal your affliction. Ask of God and Our Lady, the cure of the sick whom we entrust to you.For Daniel – for a complete and immediate healing of his entire body-especially his liver. Last week we prayed for my friend Dawn and her Dad. Unfortunately, he passed away during the week, so please give praise to God for the life of William Winston, but please also pray for God’s Peace, Comfort, and Strength to descend upon his wife Judy, his daughters Victoria and Dawn, and for all of his grandchildren. The man they love is gone, and they celebrate his life, love that Jesus is taking care of him, but still miss him dearly. Please continue to pray for little Rebecca and her family. Every post I read brings tears to my eyes, but I give thanks to God that He is with them. If you wish to read one of their posts, here is one about their trip to Disney, thanks to the Make a Wish group. Please continue to pray for my niece Stephanie as she battles her illness. Be with her and her husband Shane. Please pray for everyone that has prayer requests on their heart but is afraid to voice them out loud. Please pray for the anonymous prayers that we sometimes hear about. Please keep them close, and pray for those that live in fear. Lastly, Lord, thank You for Your Son Jesus, and for all that He means to us.